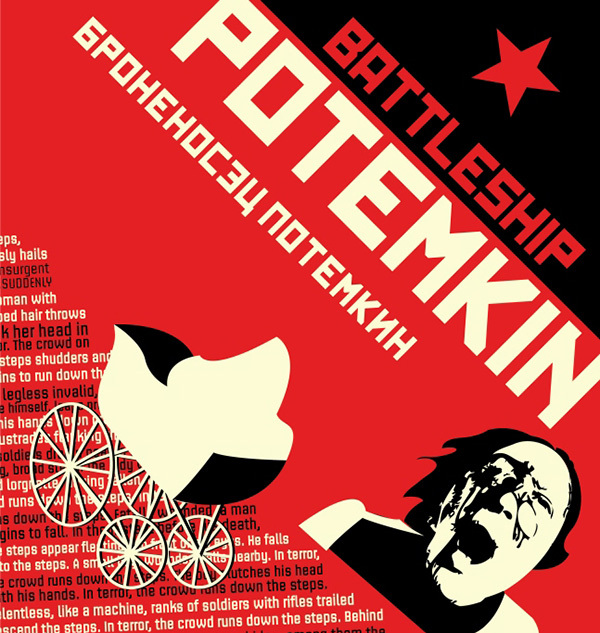 HIC celebrates 100 years since the Russian Revolution by showing Sergei Eisenstein’s 1925 silent classic Battleship Potemkin. The film presents a dramatised account of the mutiny on the eponymous warship during the 1905 revolution, initiated when sailors refused to eat borscht made from meat infested with maggots. Their revolution quickly spread from the ship, to the nearby port of Odessa. Conceived both as revolutionary propaganda and as an exercise in Eisenstein’s theories of montage, Battleship Potemkin has influenced both political art and cinema since its release. Many films have paid homage to aspects of the film – particularly to the famous Odessa Steps sequence – which has been pastiched a range of films from The Godfather to Star Wars.